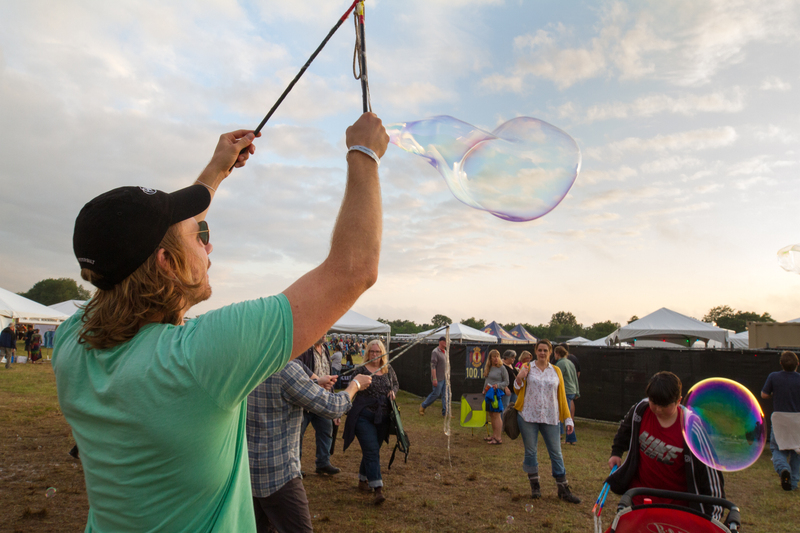 Old Settler’s Music Festival (OSMF) is a chance to get out to the country for a weekend and soak-in some spring before it gets blazing hot. After the lull of a short winter, and a confused back and forth with spring (aka March), Central Texas wakes up in full force for April. Trees push out bright green leaves, flowers carpet fields dotted with the occasional nonplussed huddle of cows, and fresh rain water gurgles down limestone-lined creeks. You know you want an excuse to shoot your yearly ironic bluebonnet Easter-best glamour photo. The 2019 lineup is a great one too. Jason Isbell and Brandi Carlile headline a weekend of music that covers the bases: blue grass, blues, folk, soul, swing, country, tejano, world, electronica, jazz and funk. The original members of South Austin Jug Band make a return appearance. The Black Pumas make their debut appearance. In between you have songwriters like Jamie Harris and pop/jazz/funk hybrids like Galactic. For a deep dive, check out Los Legends featuring Flaco Jimenez, Ruben Ramos, and Ricky Trevino. 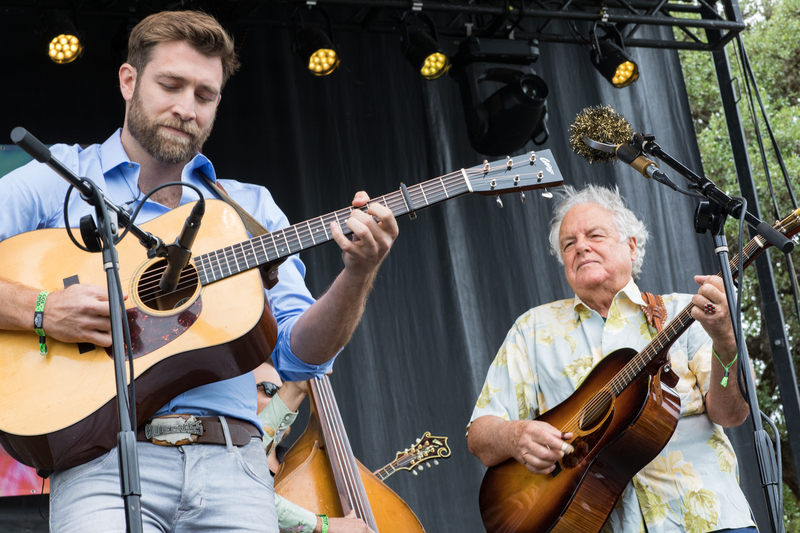 OSMF brings a great mix of new and old, local and touring, future legends and hall of famers. This will be the second year in Tilmon which is about an hour south, southeast of Austin. It may be a little rugged and missing the rope swing action of Onion Creek, but the new location is a beautiful hilltop in Caldwell County. The two main stages are angled away from each other on an ample, L-shaped field that makes it easy to move from one show to the other. Easy access plus no bus lines is big win. 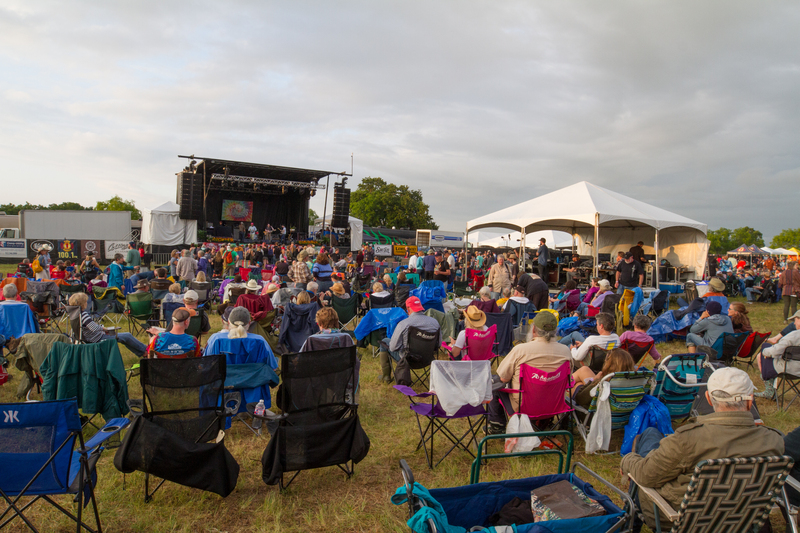 The campground stage, scene of the Thursday and Sunday shows, evokes a tent-less revival with the open sky in place of the roof. And, for the hale and hearty, Team Goodtimes late night shows at Camp ShhhTimes are intimate wonders, the imposed silent echoes the perfect harmony for unplugged acoustic jams. 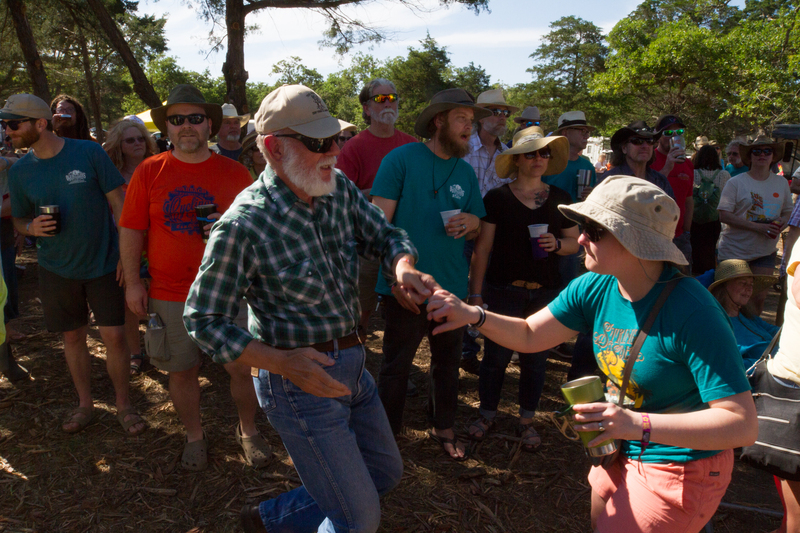 A triple threat of good music, an April festival date, and on-site, tree covered campgrounds will keep OSMF a fan favorite. Back pack or tote, refillable water bottle or insulated mug, low back lawn chair, a small ground tarp or outdoor rug, extra pair of shoes and socks (it will rain on Saturday, so an extra pair of everything stashed in the car wouldn’t hurt), sunglasses, sunblock, hat, warm wear and cold wear (temps could very from high 80’s down to 40’s), rain coat and/or umbrella, cash for food and merch, basic emergency medical kit, a power source/usb charger for your electronics, and a map of Central Texas.